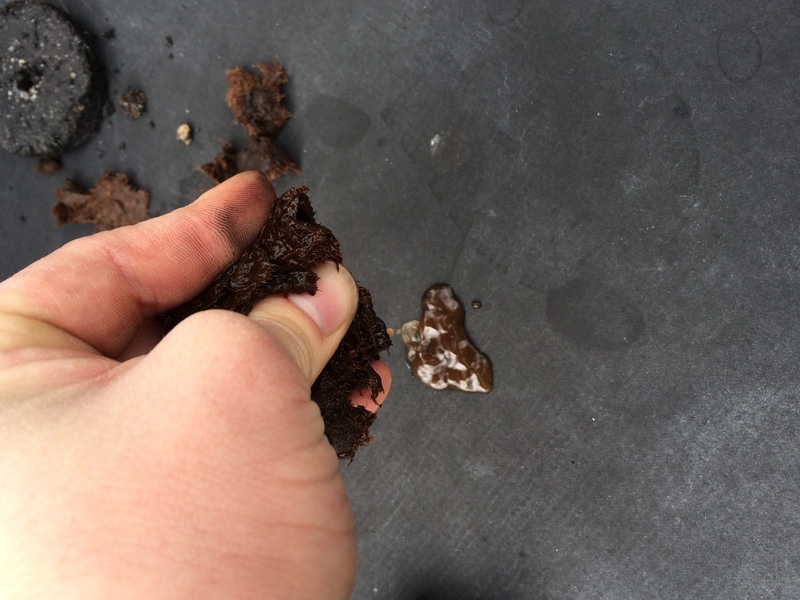 Our infrared roof moisture scan services will give you the insight you need to better plan for long-term roof repairs and maintenance as well as save you money in the process. A roof infrared moisture scan is a proven scientific method of evaluating your roof system, giving you the unbiased information needed to make financially sound decisions regarding your most critical and costly asset. Request a Roof Infrared Scan! 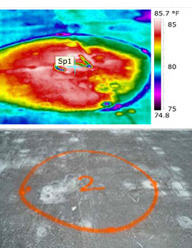 Request a Roof Infrared Moisture Scan today! 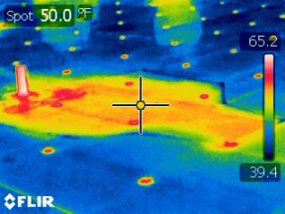 A roof infrared moisture scan will pin-point the areas of your roof where moisture is present allowing tremendous cost savings on unnecessary replacement. Moisture trapped in your roofing system also significantly reduces your insulation’s R-value which leads to increased energy costs. Finding and eliminating the areas of wet insulation with a roof moisture scan will bring your building’s R-value back to its original condition while saving you hundreds in energy cost savings. Unknown moisture can also lead to other issues such as deck deterioration, mold issues and damage to the interior of the facility. Insulation levels are specified by R-Value. R-Value is a measure of the insulation’s ability to resist heat traveling through it. The higher the R-Value, the better the thermal performance of the insulation. Moisture in roof insulation significantly decreases the roof’s R-value. Condensation within the roof section or bulk water migrating below the membrane can be the cause of the moisture. Some roofs leak due to age and lack of maintenance, but improper or unreliable detailing typically leads to the majority of water migrating below the membrane. Reduce Energy Costs: Moisture trapped in your roofing system significantly reduces your insulation’s R-value which leads to increased cooling and heating costs. Improved Budget Planning: Our infrared scanning services and the reports we provide will help you better plan for long-term repairs and maintenance on your buildings roof system. Roof Warranty Protection: Many manufacturers now require regular infrared scans to keep your warranty in effect. 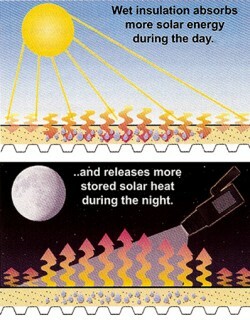 After the sun goes down the roof components then begin to cool. Infrared thermography is the use of an infrared imaging and measurement camera to “see” and “measure” thermal energy emitted from an object. Infrared imagers “see” the heat radiated from your roof surface and surrounding equipment in real time. Request a Roof Infrared Scan today!